July 4th will be here soon and that means Fireworks! The fireworks app I have used for the past few years has been updated. It includes the cities in LA, Orange, Ventura, and Riverside County. If you love fireworks and want to find out where you can legally buy and shoot them off in SoCal, check out the app! If your organization participates in LARIAC, then you probably know that right now you have Early Access to the 2017 imagery (both orthos and obliques) in Pictometry’s online CONNECTExplorer application. Keep in mind the Early Access imagery still has work to be done on it, but at least you can take a look at the new stuff while they are working on it. Login to ConnectExplorer and zoom to the area you are interested in. Make sure to set the imagery date to “Early Access”. Next, set your Export Image preferences to output a GeoTIFF and turn off scale image, north pointer, and image date if you want. You do not need a world file for a GeoTIFF. Next, bring up the ortho view of the area you want. Make sure to zoom in quite a bit to get the higher resolution. In the lower-right corner, click on the export icon and select Export Entire Image. 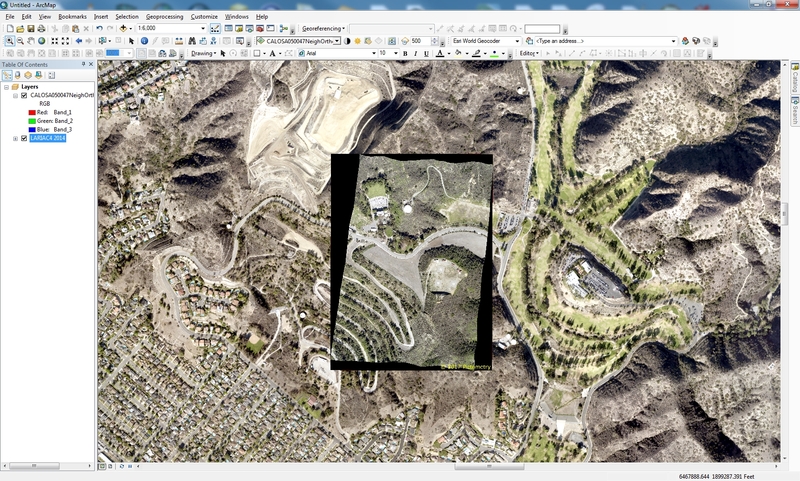 Now bring the GeoTIFF into ArcGIS Desktop. Here I have the new 2017 ortho displayed on top of the 2014 ortho. Your image might look a little choppy. To fix that, open the layer properties, select the Display tab, and change the “Resample during display” setting to “Bilinear Interpolation”. The “Nearest Neighbor” setting will make your image too choppy looking. Bilinear does a great job smoothing it out. 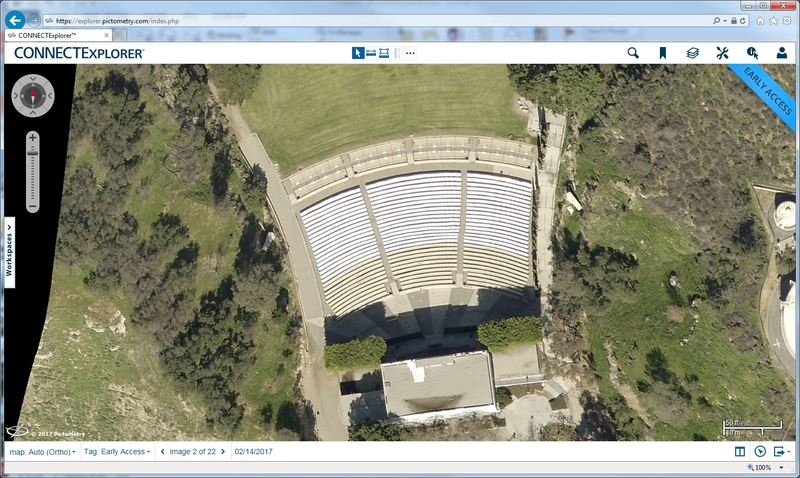 The GeoTIFF images are actually using geographic coordinates (WGS84), but they reproject very well into State Plane. Seeking antique map expert for TV project on treasure hunting. Please contact Trey at trey@karga7.com. More info about the production company here. The Colorado Desert District of California State Parks is looking for a Resource Analyst/GIS specialist. The following links will take you to the exam page for CAL human resources and the job description for the position. For much of the last decade, digital maps have helped people pull up basic directions while walking and driving. But tech and auto companies are investing in a new generation of maps for a much more demanding audience: self-driving cars. Click below to read the article about “HD maps”.